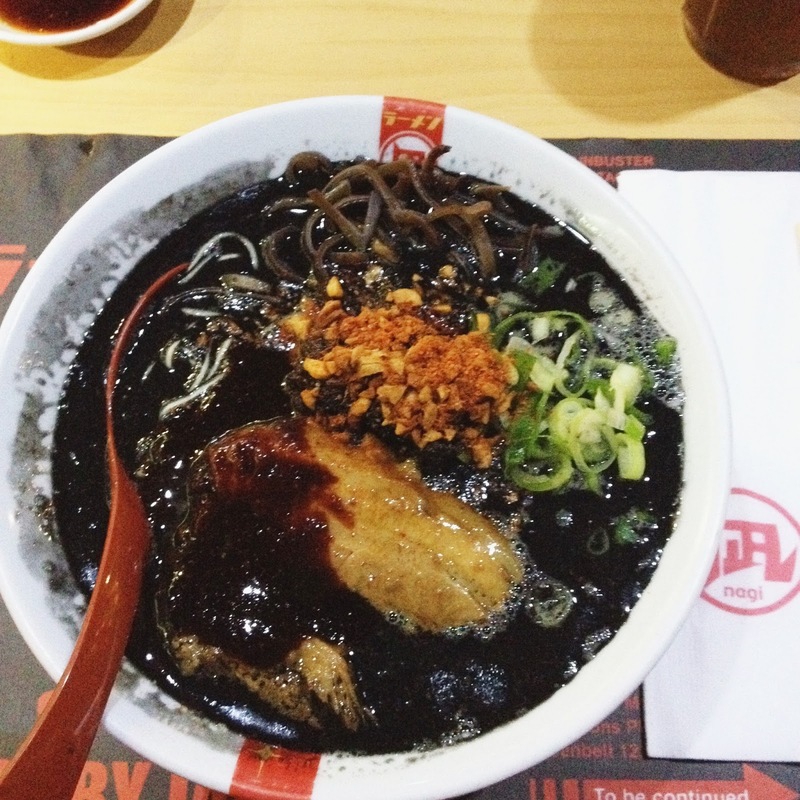 I have also tried Black King and I must say I didn’t enjoy it as much as the Butao King. Aside from the vain reason that it makes your teeth black, I didn’t really get to taste a distinct squid flavor. It just tastes like a very garlicky Butao King. I love garlic but if I’ll have to choose between the two, I’ll definitely go for Butao King over this one. My sister is not a fan of ramen so she always opt to order their Chasu Rice which she loved so much. 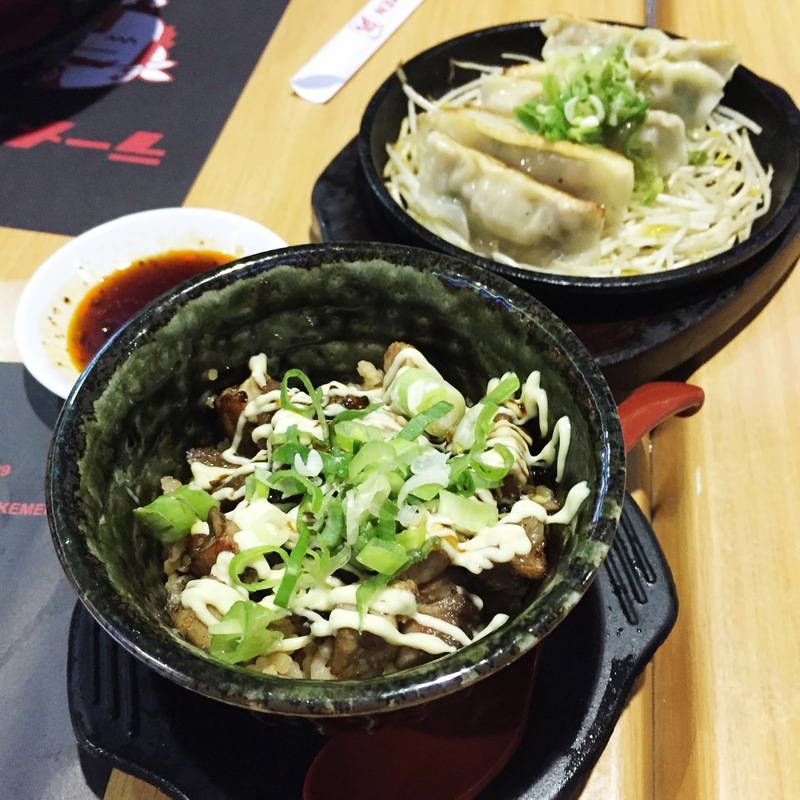 It has a generous serving of pork and is quite sweet, which is why she loves it. lol. 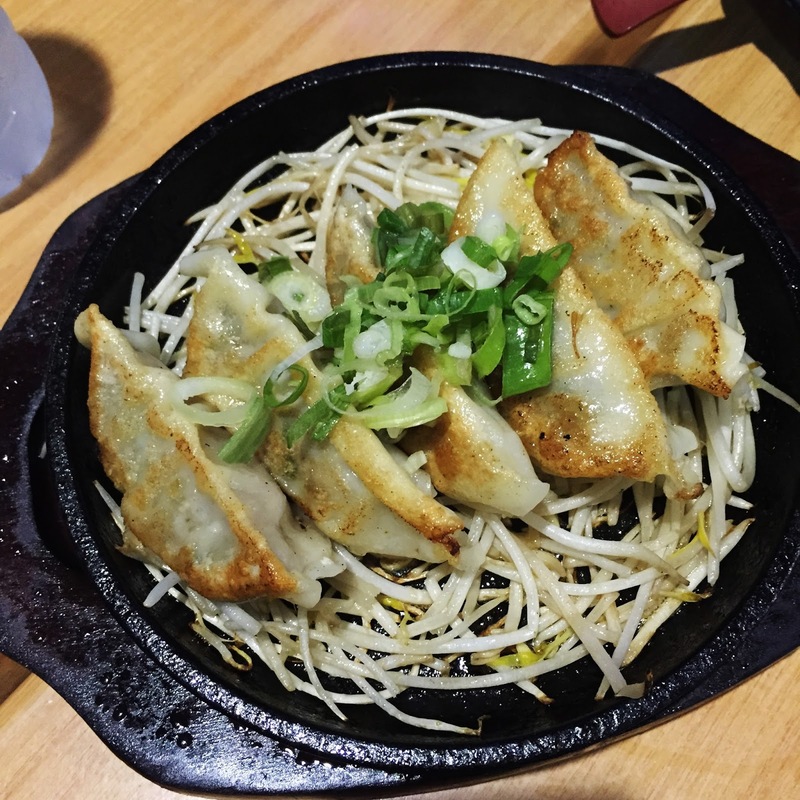 Ramen Nagi’s Gyoza is one of our all time favorites. 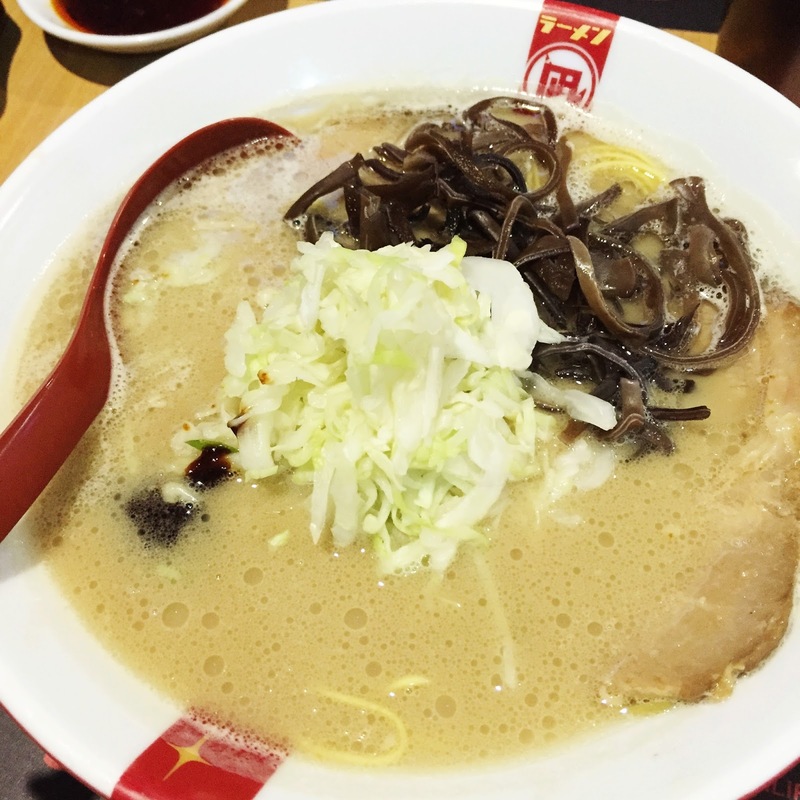 I can’t even remember a single trip to Ramen Nagi where we didn’t order it, we just have to have it all the time. 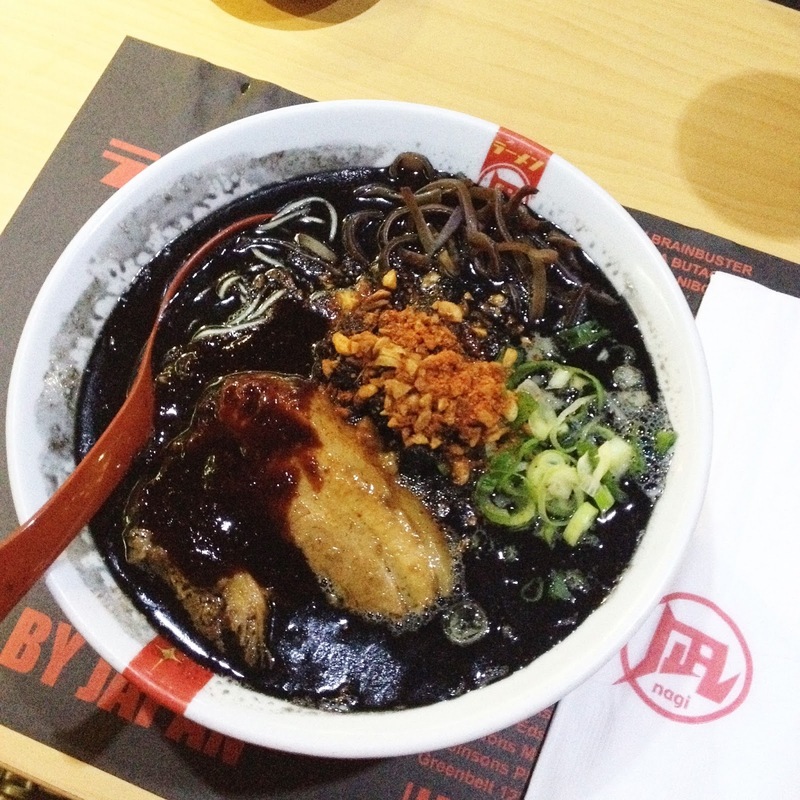 Though Ramen Nagi claimed that it’s a meaty goodness, I find that it has more vegetables than meat in it. I enjoy the fact that Earvin enjoys this like me because he doesn’t like veggies(but he likes ceasar salad!) and I can probably count in my fingers all the veggies that he eats, this is such a sneaky way to incorporate veggies in his diet. 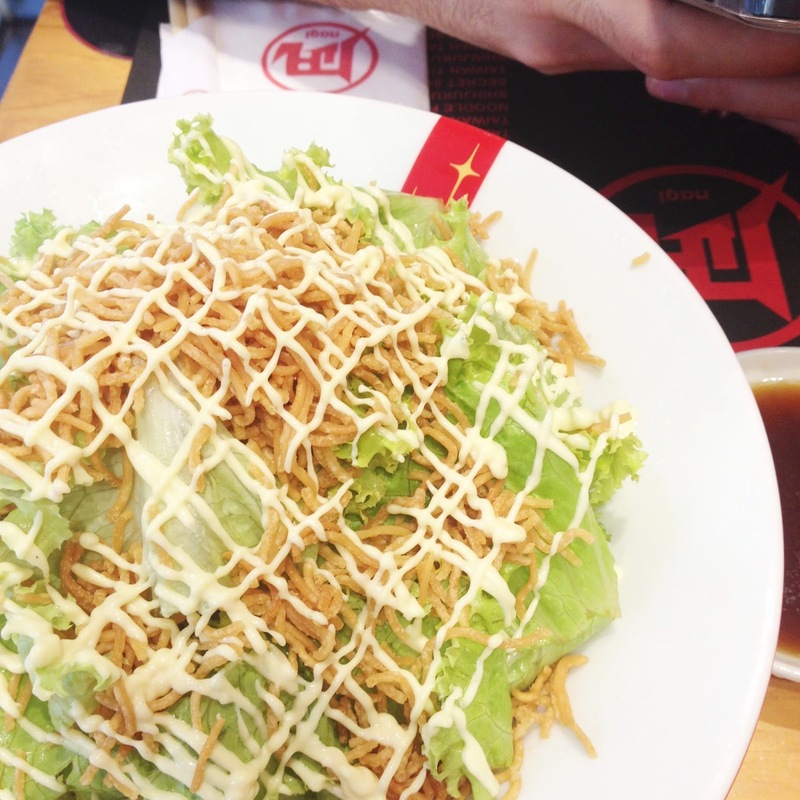 Ramen Nagi’s Star Salad is literally lettuce + crispy noodles + mayo. I enjoyed it and it’s refreshing but I find it to pricey considering how simple it is. Plus, it reminds me of a junk food I used to it during my childhood. 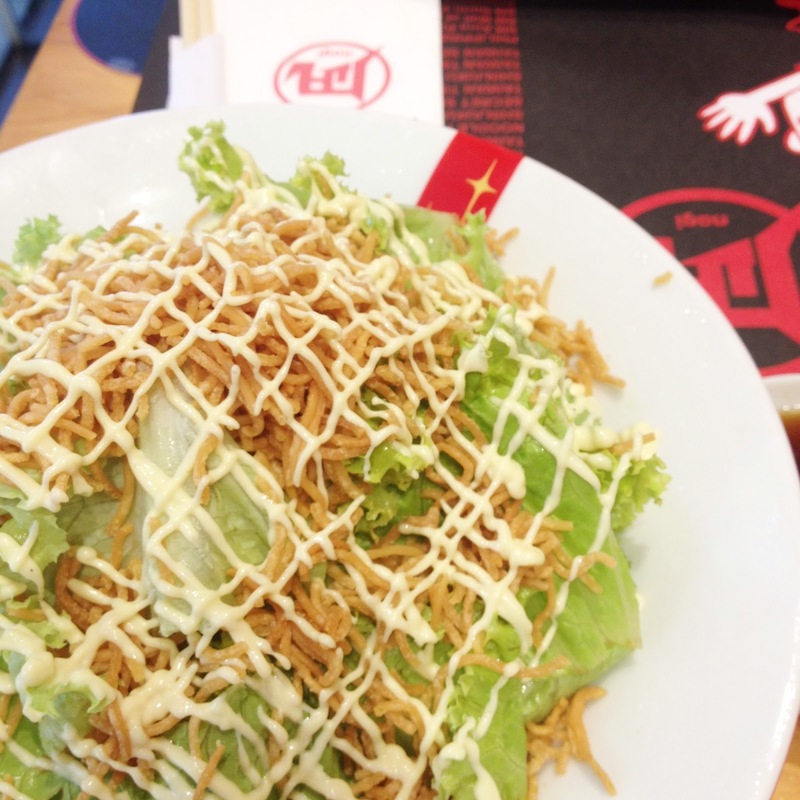 Any 90s kid out there who remembers those crispy noodles? Sorry, I forgot what they’re called. 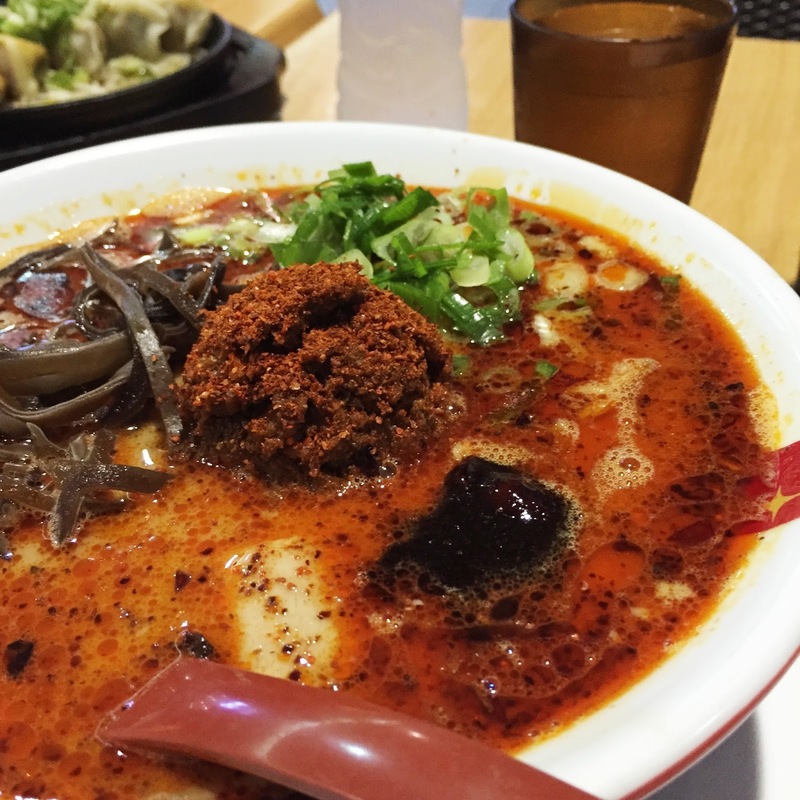 I hope this Ramen Nagi post made your mouth water as much as it did on me. I am so looking forward for this fever to leave so I can claim Earvin’s prize for me. Haha! Such a shame that you have to ring in the new year with a cold. Wishing you well, Angelie. 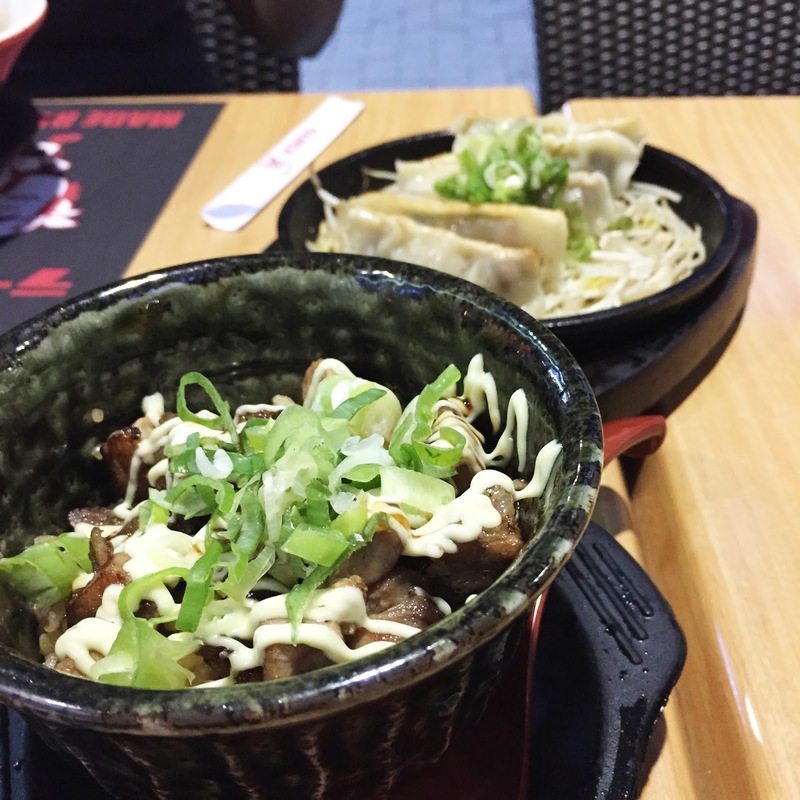 Ramen Nagi sounds fantastic! I've been craving ramen for a while now, actually! I definitely remember those crispy noodles — they've got different brands, don't they?